You don't have to break the bank to make buyers love your home. Home buyers are a picky lot. 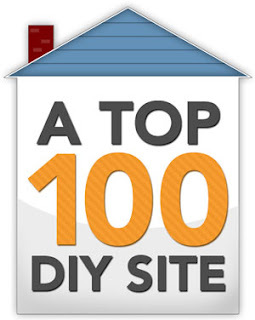 Most of them have long wish lists, strong opinions, high expectations, and tight budgets. Let’s just say that it’s easy for them to name deal breakers and find ways to whittle away your asking price. Your job is to remove the hurdles to a purchase offer and a good selling price. If you’re unsure what hurdles your home might present, scan this list of the seven big ones – the obstacles that most buyers can’t ignore, along with my suggestions for the best fixes. Your kitchen doesn’t necessarily need all top-of-the-line stainless appliances, tile flooring, brand new cabinets, and granite counters. But it can’t have a microwave from the last century mounted over your stove, butcher block laminated counters, a carpeted floor, and no dishwasher, if you want your home to sell quickly for a price you like. Real estate experts agree that remodeling your own home just so you can sell it doesn’t make economic sense. Making it bright and contemporary does make sense. Here are some fixes to consider if your kitchen needs a facelift. 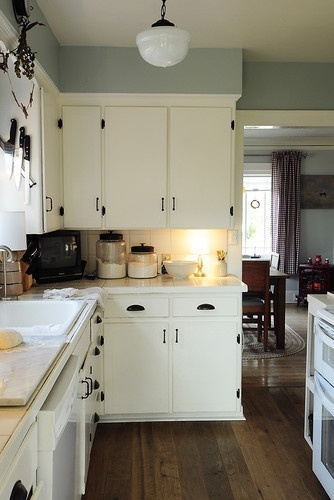 Paint dark cabinets white. Replace obsolete appliances with new ones without changing the plumbing or floor plan. Add inexpensive but stylish cabinet hardware. Make sure the kitchen looks as roomy and functional as possible. Remember, too, that “clean sells,” especially in kitchens. Cleanliness is even more important in bathrooms. Do your baths have crusty old faucets, dated light fixtures, wall mirrors with bad edges, wallpapered walls, and a pink Formica counter over a particle board vanity? You might be thinking, "The buyers can replace all this with what they like." Yes, they can, but they will ask for a discount or give you a very low offer. Any price discount they ask for will be based on their own high estimate, higher than what you could get by shopping around for the best deal. Bath and kitchen remodels are not cheap, so any way you can update on a shoestring without sacrificing quality, you’re on track. The smaller the space (I'm looking at you, powder rooms), the more realistic it is to update it economically. New faucets, shower curtains, towels, light fixtures, mirrors -- they all have big impact for the money spent. Depending on your home's price and the local market, it may pay to install a new vanity, sink, and countertop, or new flooring. Keep the plumbing where it is, and pay attention to current trends. 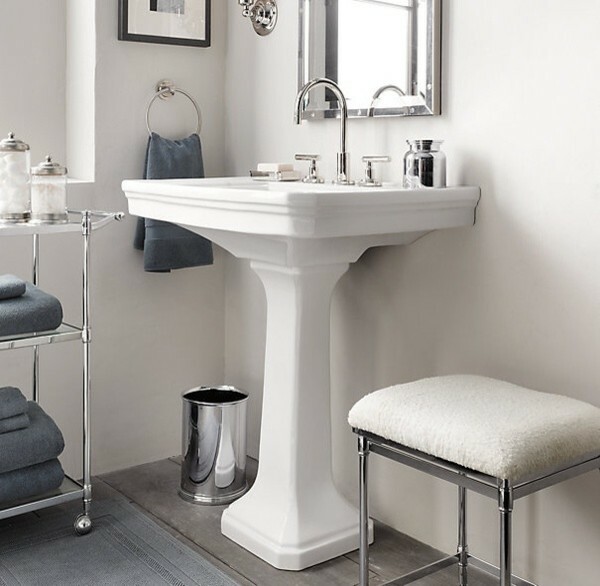 Any bath can look more modern when you choose classic accessories. Restoration Hardware. Rooms appear dark because there's not enough natural or artificial lighting, or perhaps because there are too many dark surfaces in the room. So, you'll be smart to replace any lighting fixtures that don't illuminate enough. Then, install the highest wattage bulbs recommended. Add additional lights and lamps or add sun tunnels to dark rooms. Welcome sunlight by staging with window treatments that don't obstruct light. Wash windows inside and out. Trim trees outside that create shade around windows. Choose wall paint colors that reflect light. 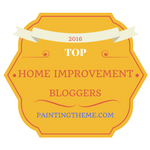 Finally, remove, repaint or re-cover dark furnishings. When your potential buyer gets a whiff of anything unpleasant, it could signal a “thumbs down” to your property. Scents hold power. They create strong emotional responses, for good or not-so-good. Here's some suggestions that might help. Discover the source of bad aromas and solve that problem. Make sure the filters on your HVAC system are clean. Deal with the cat box regularly. Fix leaks under sinks that make cabinets smell moldy. Limit smoking to outside. Take garbage and soiled diapers outside daily. Use natural fragrances to telegraph that your home is fresh and desirable. It's easy to make your own diffusers using essential oils to scent your home. Nothing is more offensive to more buyers than a grimy house. In fact, many small defects can be overlooked when a home is spotless. Cleaning is also the most economical step you can take to prepping your home for sale. A home on the market can't be too clean because you will be competing with properties that sparkle. A once-over isn’t good enough. A deep cleaning and detailing are what’s called for. After that's done, it’s a matter of maintenance. You might even learn to love living in your staged home. Interior walls take up lots of visual space. They’re the first thing to meet buyers’ eyes when they enter a room. Most people want a home to be move-in ready, and when they see things like wallpaper, unusual or bright paint colors, wall stencils, stripes, murals, or faux finishes, what they see is work for them. I give you tips on doing a good paint job here, here. and here. If any of these wall treatments sound like your home, there are DIY remedies. Removing wallpaper can be an uncomplicated project. You should then patch and paint your walls a color anyone can like. If painting is beyond your skillset, and you decide to hire a painter, ask what you can do to prepare the rooms to make the job easier (saving you money). Sometimes, just emptying a room, or clustering the furniture and offering to replace outlet covers after paint is dry can save you some cash. Real estate appraisers use the term “functional obsolescence” to describe certain undesirable situations. Examples are a bedroom that can be accessed only by walking through another bedroom, a bathroom that's the first thing people see when they walk in the front door, a bedroom that’s too small to accommodate anything but a bed, or a door that swings into (rather than out of) a small room like a bathroom or closet. What you can do: If the floor plan is bad, you can often minimize or fix it with corrective furniture arrangement. If you can't easily fix the problem, you may choose to get a price quote from an experienced builder to determine what it would take to make it right, since deficiencies like these will reduce the appraised price of your home. You can stage rooms to distract from what can be considered problem areas like dormer rooms and windowless or closet-less rooms. You should return rooms to their original use. In other words, stage your bedrooms as bedrooms, not an exercise rooms or a home office. Stage your dining room as an eating and entertaining area, not homework central. You can read more about how to fix awkward floor plans in my $4.99 furniture arrangement eBook. 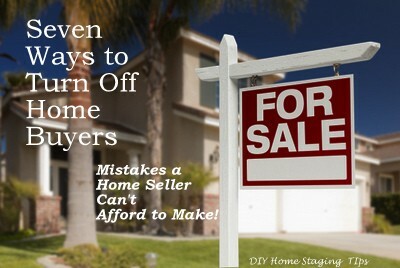 If your home has been on the market and you’re not getting offers (of course it’s staged, right? ), or if you are just now prepping your home for the real estate market, I hope you’ll be able to use this list of the seven things that bothers buyers the most, and use it to better understand your home’s cash value. Make it easy for buyers to love your home. You’ll get a better price for it, and in less time.